"Do you weed?" one of my garden coach clients once asked me. The answer may seem obvious, but those of us versed in holistic landscape care consider this a fair question. We view our gardens as ecological systems, and the word weed "does not exist in the language of ecology," to quote George Bird, a professor at Michigan State University who writes about sustainable agriculture. They clue us in to the quality and character of the soil, indicating its pH, moisture level, compaction issues, and nutrient amounts. They add to our "beneficial insectary," providing habitat, pollen and food for our favorite pollinators and pest predators. They also act as traps for insect pests—we'd rather them devour the weeds than our crops. They are sometimes edible or medicinal. 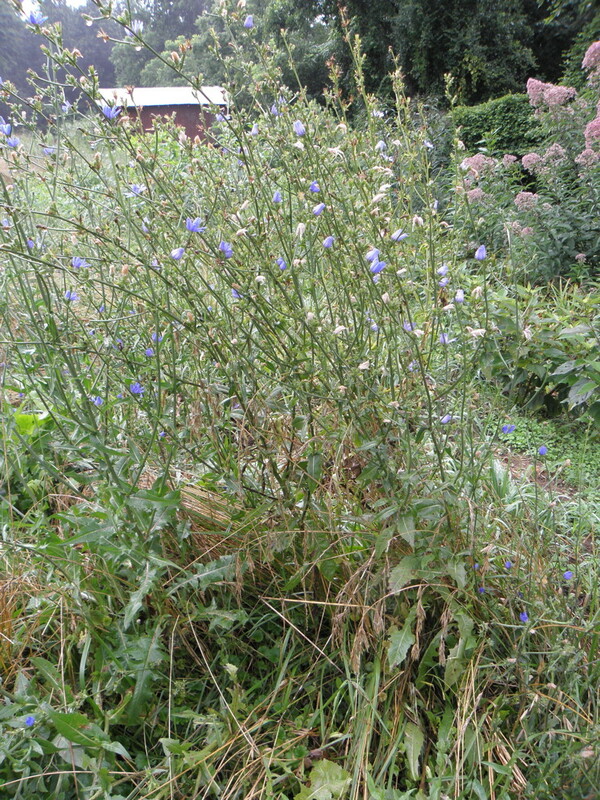 Chicory is a commonly known edible weed. Furthermore, some of my clients are gardening because they want to promote life, so the last thing they want to do is destroy plants. 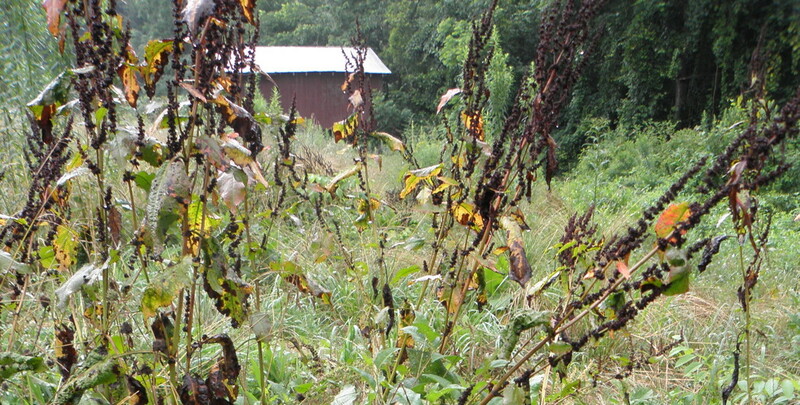 That all said, weeds may hog valuable nutrients and space that our crops need to thrive. (Although with an adequate microorganism population to convert nutrients in the soil particles into a useable form for plants, there should be enough nutrients for everyone). Many weeds have robust reproductive abilities so one species could take over an area, limiting diversity. 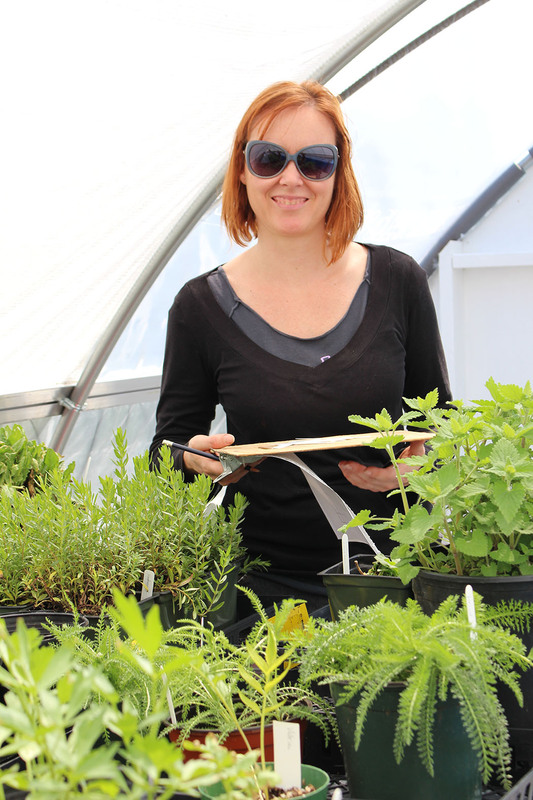 A lack of diverse types of organic matter is not good for soil health. Plus, a garden is not inviting if there's so little breathing room that it appears claustrophobic. So, the short answer is yes, I do weed. In the middle of a rainy summer, I usually spend an hour a week weeding. Considering the bulk of my half-acre lot is landscaped rather than in grass, I'm satisfied with that amount. I doubt if I would want that precious time to decrease, as my fingers love dipping into the soil, loosening the roots and lifting them out. In small doses, it's a calming yet enlivening activity. I appreciate clients sensitive enough to be hesitant about removing any plants from their property, but the more we garden, the more we appreciate the cycles of life. The rich nutrients of a decomposing plant will fuel the life of another. The space that opens up in the place of the one we remove makes room for a lush, healthy, hopefully edible or native plant. No-till beds. If seeds don't rise to the surface of the garden then they are less likely to germinate. A constant layer of leaves or grass clippings next to my crops. In beds that currently have no vegetables, I sow a cover crop. Nature abhors a vacuum, so bare ground will quickly be colonized. Mulched paths. When I start any new garden, I always surround it with 3-foot paths—typically a heavy layer of wood chips on top of landscape fabric or plastic. I'm also experimenting with clover paths. Proactive weeding. 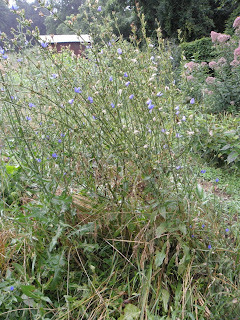 I try not to let weeds with abundant seed heads bolt in or near the garden. While I appreciate that some deep rooters, like dock and dandelion, are bringing nutrients from deep soil layers up to the surface (not to mention their wonderful medicinal qualities! 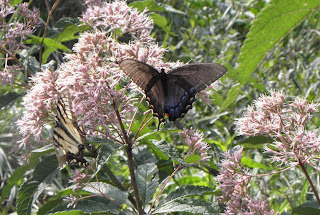 ), both these plants are prolific seeders, so they usually don't stay for their full life cycle in my garden. 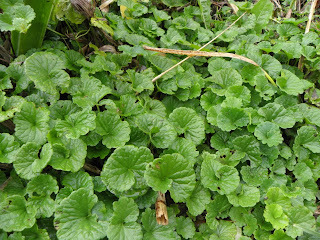 However, they are welcome in the uncultivated areas of my landscape. I'd rather dock not go to seed in my garden despite its many benefits. However, a patch in the back corner of my property can stay. I encourage clients to develop a weed management philosophy for themselves as I consider it to be unique to each person. 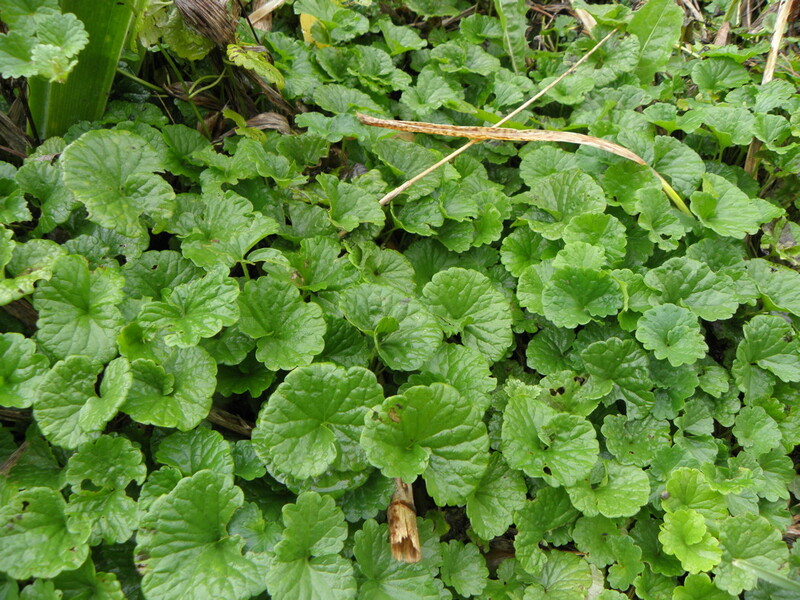 For example, when I see a weed, I ask myself several questions: Is it invasive or do I rarely see the plant? Is it about ready to go to seed? Does its flower attract insects I want in my garden? Is there anything else flowering at this time of year or would the bees appreciate the extra nectar? Is it playing an important role in the ecosystem such as holding in an unstable bank? Is it edible or medicinal? All the answers to these questions, which sift through my head in a few seconds, weigh in my decision before my hand reaches for the weed. If I don't recognize the plant, I try to identify it and learn about it—its life cycle, nutrient requirements, predators, benefactors and human uses. Some herbalists teach us that the vegetation that grows naturally in our backyards are what we need, so I ask myself, what do I need this plant for? If the plant is invasive, I almost always pull it and take steps to make sure it doesn't return. I entirely remove the roots, which can be a bit painstaking for plants with complex root systems like Creeping Charlie. For a persistent patch of weeds, I might cover it with layers of cardboard and mulch, or even solarize the area with clear plastic. If the weeds build up in a pathway, I might spray vinegar of 25% concentration, which can be purchased at Asian groceries or online from some organic gardening supply companies. But I'm extremely careful with my aim as the droplets drift very easily. I never spray vinegar directly in my garden bed. If the weed is useful to me, and I'm convinced I've identified it properly and fully understand its edible/medicinal uses, then I'll save a handful of it and incorporate it in my lunch. Or I might dry it to make a tea in the future. The rest of the pulled weeds are usually thrown into the woods instead of the compost pile, just for extra insurance that they don't re-sprout in my compost. However, the ideal situation is that the compost pile gets so hot that stray weed seeds or spreading rhizomes get fried before they have a chance to grow. That way the compost can benefit from the high nutrient content of weeds. Some horticulturists might recommend being vigilant, pulling the weed as soon as we see it sprout. I try not to be too obsessive about weeding as that takes the fun out of gardening. I let a few weeds build up before diving in. A month-old weedy patch looks like it's going to be a harder job than it actually is. The more often we come to the realization of how little time weeding truly takes, the more motivated we are to complete the task. I don't mind if I have a few stray weedy areas in the far corners of my property to provide habitat for beneficial insects. They also might be improving the soil for a future garden bed. In naturalized landscaping, property owners must find their own level of tolerance or appreciation for weeds. We keep in mind that the concept of "weeds" is a cultural construct that shouldn't be paid too much attention to, but at the same time recognize that a wild patch can indeed look a bit messy. (Unless it's a mature, self-maintained ecosystem, which is my favorite kind of landscaping). In the end, if we're spending too much time worrying about the weeds instead of the plants we're trying to grow, then the purpose of gardening has been defeated. Sometimes weeding is not about actually weeding, but instead about turning off that switch in our brain that tells us all weeds are nuisances. Then we turn on the other switch that allows us to see the benefits of all plants, whether or not we actually planted them.